The Web is a competitive space. Most of the companies, big and small, have their own business websites. Will a mere website help your business grow? Apparently No.Customers are smart & internet savvy; they do their research and google for their queries before they approach you. It’s a no-brainer that your business will flourish only if more of your prospective customers find you on the internet; but how would they do that? They could find you through search engines, ad campaigns, other websites talking about you, social media platforms such as facebook, twitter, linkedin etc., newsletters and various other sources. Fortunately, you can do a lot of things to maximize your chances in reaching your target audience on the digital space. That is, optimize your website so that you appear more frequently and at the top in search engines when your customers search for a term that is related to your business. This optimization is called Search Engine Optimization. SEO ensures that your website is found in the search engines for words & phrases relevant to what you are offering. SEO services by Ladybird begins with auditing your existing website and lists out all areas where it could be optimized so it would come up organically in search engine results. Our dedicated and highly professional SEO team ensures guaranteed measurable results when it comes to top search engine rankings in Google, Yahoo or Bing. The success of a website is not measured by how good it looks or how flashy it is. Instead it can be calculated by the popularity of your website on the web. Only the first 10 SERPs (Search Engine Result Pages) will attract the visitor. Only top 10 search result have a chance to convert a visitor into a new valuable customer. Our integrated search engine optimization tactics that fulfill with the guidelines set forth by each of the major search engines to ensure quality, relevant targeted traffic and top rankings. 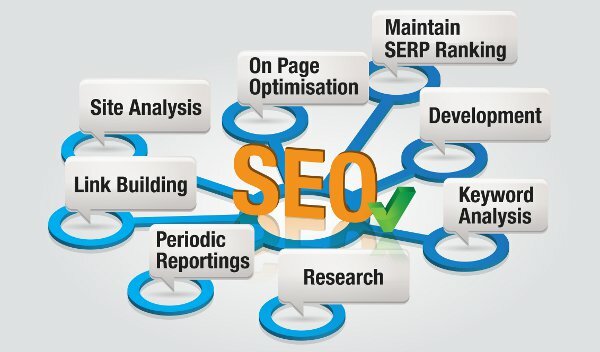 We follow 100% White Hat SEO methodology. After 10 pages per page optimization charge will be USD 5 /- per page.